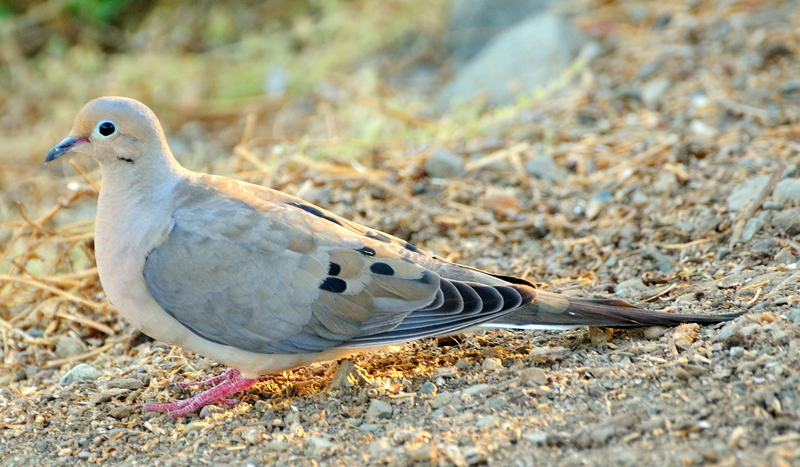 he Mourning Dove, a beautifully though rather unobtrusively colored bird, is a common sight for many North Americans. These birds are often a welcome sight that marks the seasons’ changing for people that observe their migratory patterns. 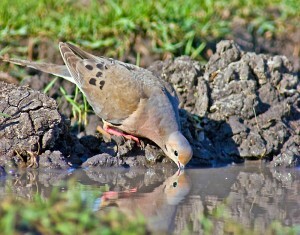 Although they prefer to forage on the ground for food, some Mourning Doves have been known to eat from trees or bushes. Their diet primarily consists of seeds that are discovered on the ground. However, these birds will also eat grain, insects, and fruit. 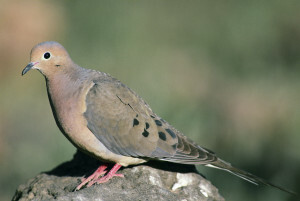 Although they are found in a wide variety of habitats, including urban areas, Mourning Doves seem to prefer edge lands. They feed in open areas and are often found living near a water source. Mourning Doves are usually ten and a half to 13 inches long. Males are normally larger than females. Their coloration is pale grayish brown, and many have thin necks with purple or green iridescent sheens. The lower area of the neck is accented with a black marking. The back and upper wings are a darker brown color, and the upper wing coverts usually show black spots. The long tail is dark brown and the four feathers at the pointed, outer tip are edged in white. 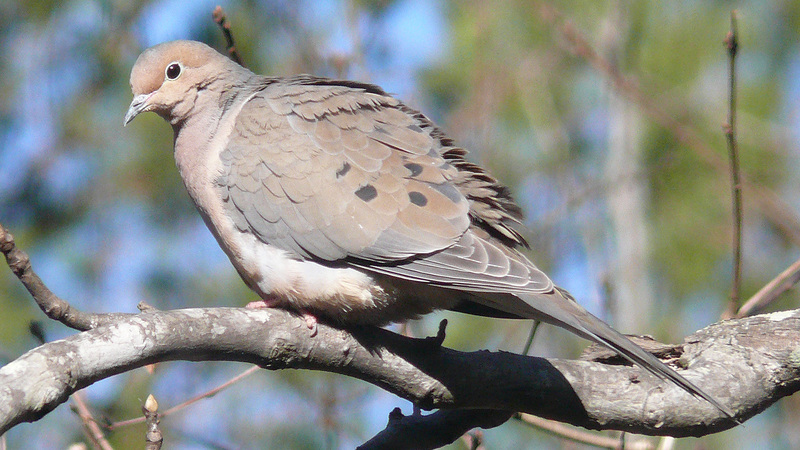 Mourning doves have black bills, and juveniles are usually differently colored than adults. Their feathering is usually more mottled or scaly in appearance, and their tails are not as long as those of mature birds. Found throughout North, Central, and South America during different times of the year, Mourning Doves are migratory birds. 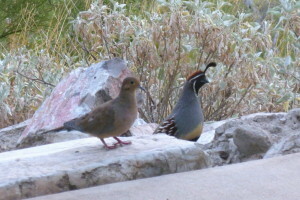 They are a common sight to many people and are also a popular game bird. 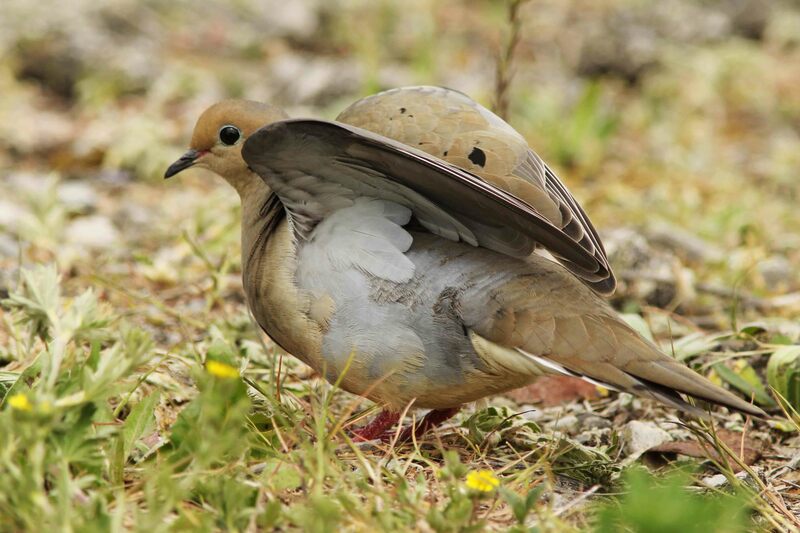 Although Mourning Doves are popularly kept in captivity, some wild birds are considered pests in agricultural areas. When keeping Mourning Doves in captivity, you should provide them with a platform type of feeder rather than a bowl. Many will also do well when food is sprinkled on the ground. Mourning Doves eat primarily seeds in the wild, and a good seed mix could be appropriate in captivity, though many people prefer pellet diets. The occasional insect or bit of fruit could be offered as a treat. Most pairs of Mourning Doves form in winter or spring, and some may stay together for more than one season. Males initiate nesting, choosing the site and assisting in the building of the nest. Usually, nest construction takes three or four days. 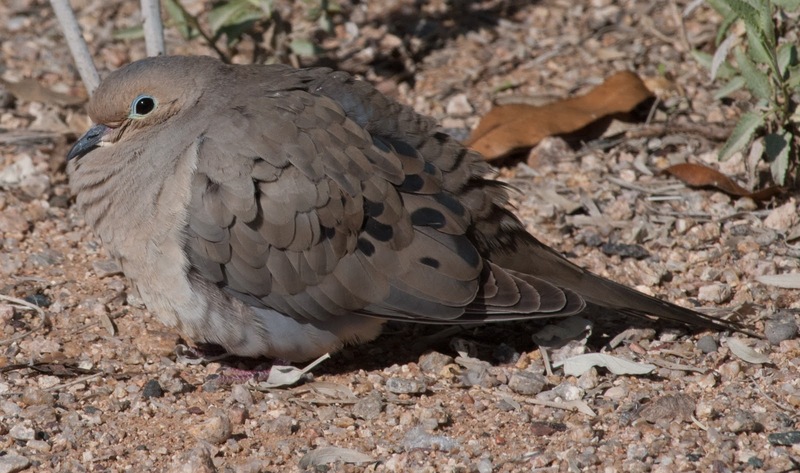 Mourning Doves usually lay two eggs that require about two weeks of incubation. The hatchlings fledge 12 to 14 days after they emerge. The young are nourished on pigeon’s milk, a white liquid substance produced in the lining of the crop. Normally, Mourning Doves will raise two to three broods in the course of a year, though some will raise five or six! You can assist Mourning Doves in nesting activities by offering them a cone shaped nest made from construction cloth. The nest should have about a six inch diameter. Wicker baskets can also be offered as nests. 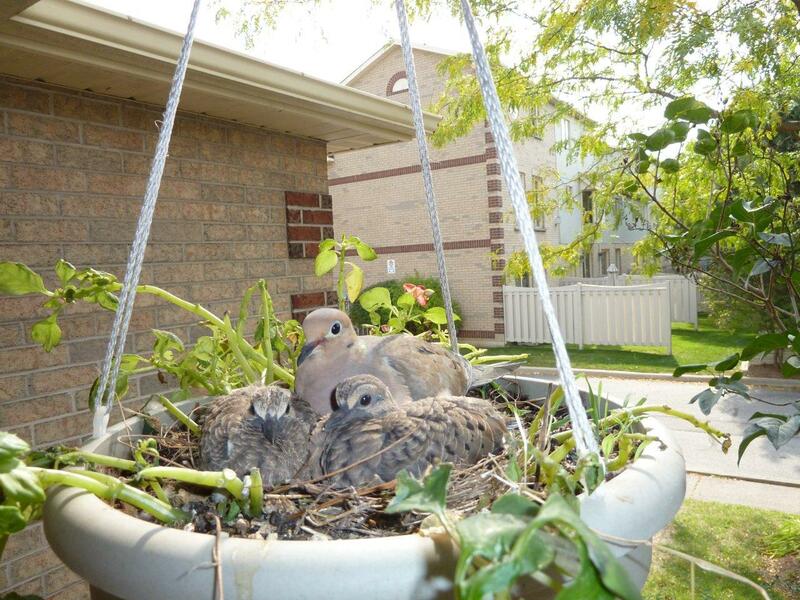 All nests can be wired to trees or other items in your area, and a few twigs can be placed inside as a base on which the Mourning Dove pair can build.